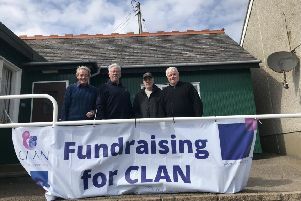 A rugby team for youths based in the north-east is celebrating its 40th year and looking forward to the new season for its milestone year. She also told the Leader and Observer about what they have been doing in the community. “We helped out with the set up at the Feein’ Market, volunteered at the Beer Festival and helping with the Harbour Festival set up. They are hosting a fundraising quiz night on September 9 at the Station Hotel function room at 7:30pm. The seniors will begin their new season with a friendly against Banff at Duff House on August 6. As it is their first match since last season, Kirsty described it as a “good warm-up game”. The season will officially start on August 27 in an away game against Strathmore. Kirsty added: “We are providing rugby for Stonehaven, Aberdeen and south Aberdeenshire communities. Memmoths and Ladies on Tuesdays, 7pm at Millo Forrest playing fields.